In this June, Jiutamai, Japanese traditional dance, was performed in Poland, including 2016 European Capital of Culture Wroclaw. In order to invite Polish musicians to Japan they collaborated together, they have launched a crowd funding campaign. Jiutamai, trying to exceed the conventional Japanese cultural frameworks, has promoted its attractive points overseas. 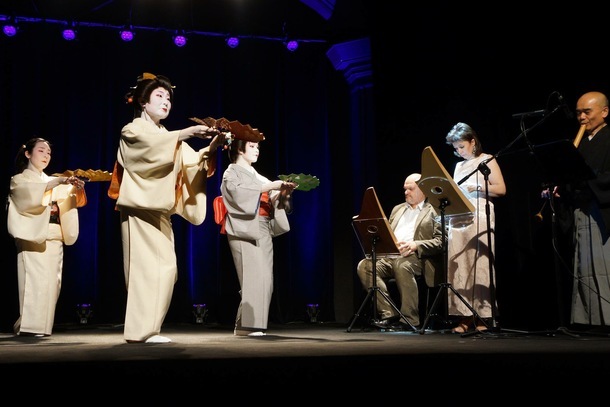 Ms. Hanasaki, who plays a director role in Jiutamai, notes this is the dance introducing traditional music as well as brand-new one that enables people from different countries to encounter borderless culture and to encourage their mental communication. This collaborated performance is taken place in Tokyo from 4 to 10 September. Please give your kind support to Jiutamai! Please find more information below!